One page website for Attwood and Webb, and the results were superb! Attwood and Webb first visited Scream Blue Murder is need of a logo design; they were in the process of rebranding themselves. 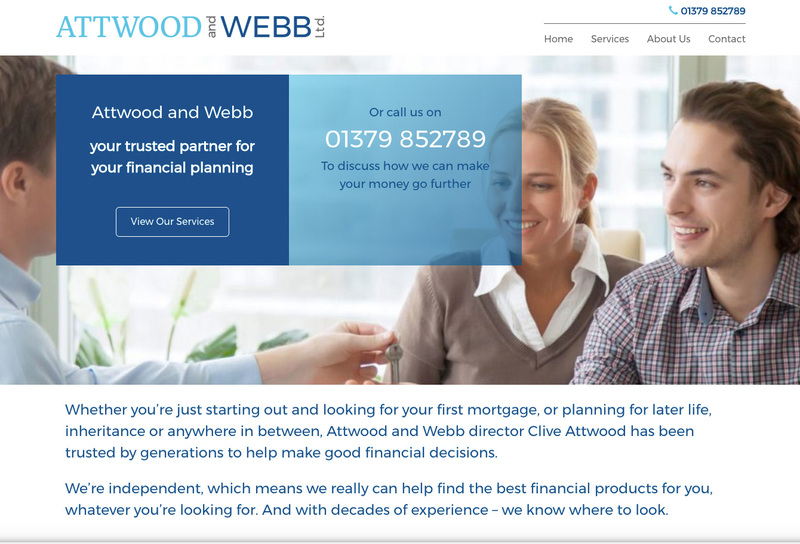 Attwood and Webb work with financial planning and we felt their new logo should look stable and trustworthy, representative of their values. 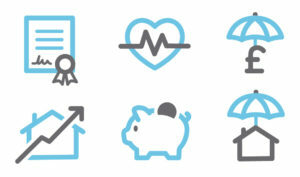 Please look at some of the logo ideas we considered below. 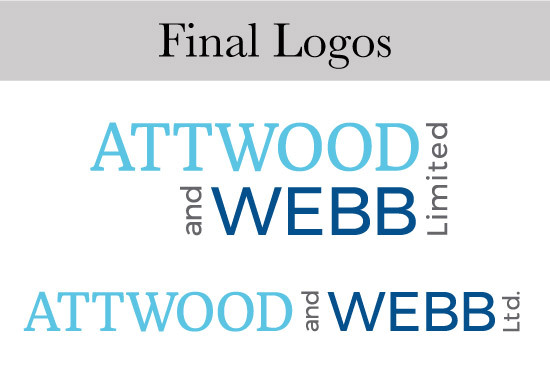 Attwood and Webb loved their new logo and soon, the financial advisors were back! This time asking us to create some leaflets to showcase their business. This time we spent more time, asking further questions about their company and their marketing requirements. Eventually, it was decided it would be in the company’s best interest to not only have the leaflets they were initially requiring, but also a one page website, through which the leaflets would be linked. This idea worked splendidly – people are for more likely to consult a website from reading a leaflet than they are to directly call a company. The key requirement for this one page website was to make it as clear, simple and cost effective as possible – literally further explaining Attwood and Webb’s services and how best to reach them for further information or a consultation. The end result was perfect and worked brilliantly in terms of a one page website and marketing campaign for their needs.